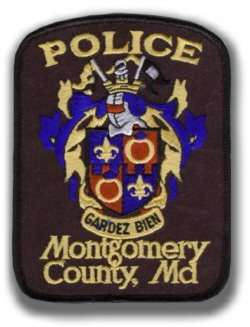 The Montgomery County, Maryland Citizen Academy began in 1994 and is an extension of the Department’s community policing efforts. Citizen Academy participants learn how the police department works, and gain a better understanding of what the department does and what is required for police officers to effectively perform their duties. Those interested in learning more about the Montgomery County Citizen Academy and applying for future sessions may contact Sergeant John Mullaney at 240-773-6900. 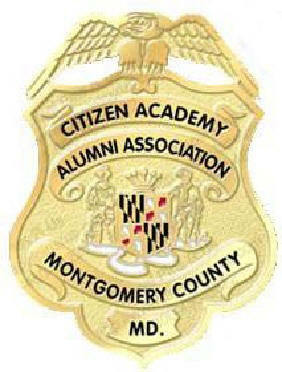 The Montgomery County Citizen Academy Alumni Association (MCCAAA) is for graduates of the Citizen Academy, and holds monthly meetings with speakers on subjects relating to public safety in Montgomery County, Maryland. MCCAAA has monthly meetings on the third Thursday of each month, from September through May, with the exception of September, 2017, when we will meet on the FOURTH Thursday. There are no meetings during the summer. Meetings take place at the New Public Service Training Academy, 9751 Snouffer School Road, Gaithersburg. All meetings begin at 7 pm unless otherwise noted. Copyright © 2009-2011 by the Montgomery County (Maryland) Citizen Academy Alumni Association.